BritDish is a landmark culinary event that’s been created in celebration of the partnership between London Restaurant Festival and American Express. Taking place on Sunday 9th October 2011, BritDish will see five renowned international chefs reinterpret some of Britain’s most well known dishes for Sunday lunch. Exclusively available to American Express Cardmembers, diners will be treated to traditional British favourites but each with an exciting twist. Inspirational creations from Angela Hartnett, Vivek Singh, Nuno Mendes, Bruno Loubet and The River Room at the Savoy Hotel will completely turn the notion of Sunday lunch on its head. The London Foodie has teamed up with American Express to offer one lucky reader the chance to win a table for two at the Viajante BritDish event. The winner and their guest will enjoy a traditional British meal of to prawn cocktail, roast beef, Yorkshire pudding and apple crumble, given a gastronomic twist by innovative chef Nuno Mendes. Exciting cuisine from around the globe has inspired the BritDish chefs to develop their unique menus, now we want you to tell us what inspires you. 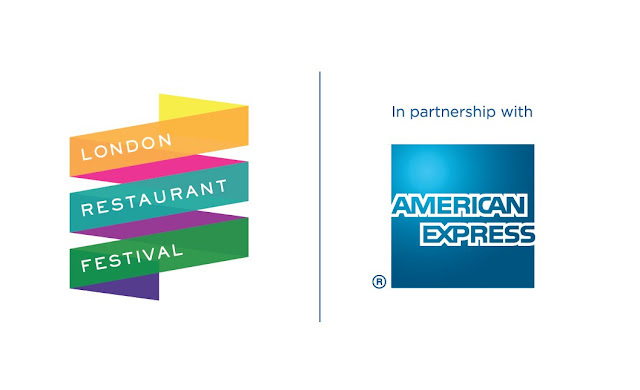 American Express is celebrating the power of inspiration to help people to realise their potential and is working with youth charity ThePrince’s Trust to help inspire young people through the Amex Be Inspired programme. The lucky winner will be randomly selected using random.org and his/her name will be announced via Twitter (follow @thelondonfoodie) at 15minutes past midnight on the 7th October 2011. If you do not use Twitter, I will also be publishing the winner's name here at 18:00 hours on the 8th October 2011. The winner of this competition, randomly selected by random.org, was entrant 17 - anonymous -Matt. Your details have been emailed to the American Express team who will be in touch with you. Well done, and thanks for entering this competition! answer: b), for Britain, of course! Yay - Sunday lunch! The answer is b) Britain. I can do Sunday lunch! Great prize - would love sunday Lunch there! Fingers crossed for this lovely prize! Sunday lunch at Viajante sounds good! fingers crossed, what a great prize! The answer is Bodacious Britain! The hunger, the hunger! Oh, LF, you're too good to us. Wow.. Viajante - toot toot! i soo wanna go there!